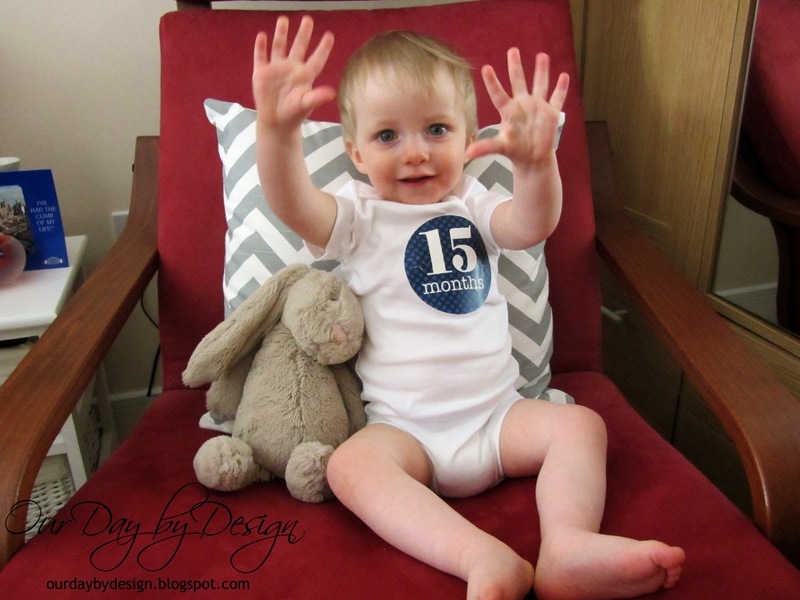 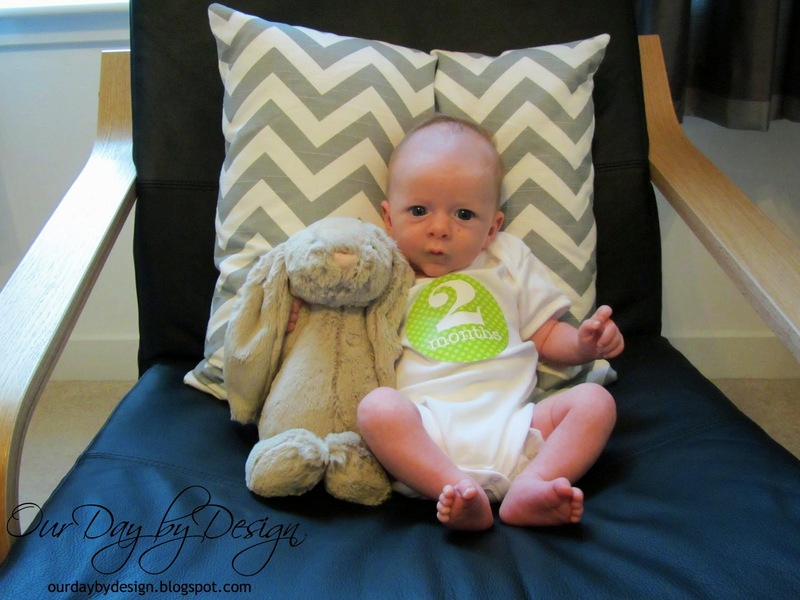 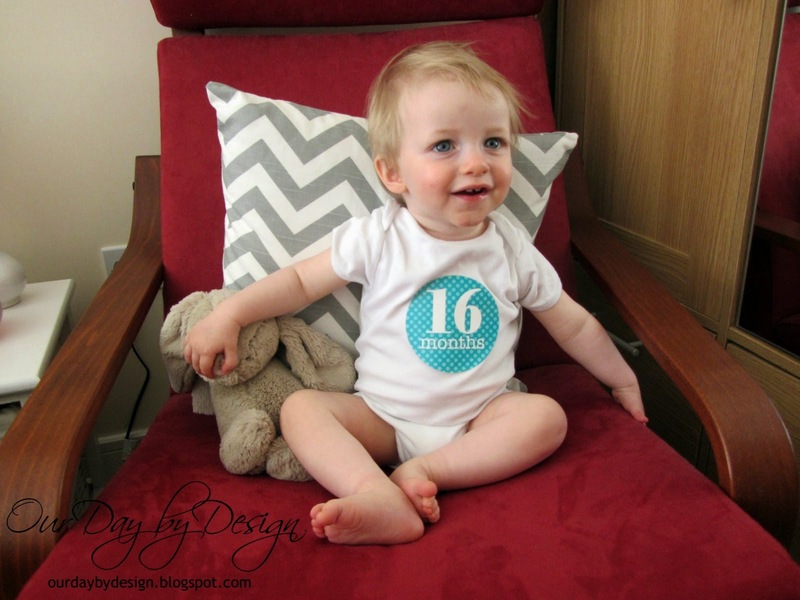 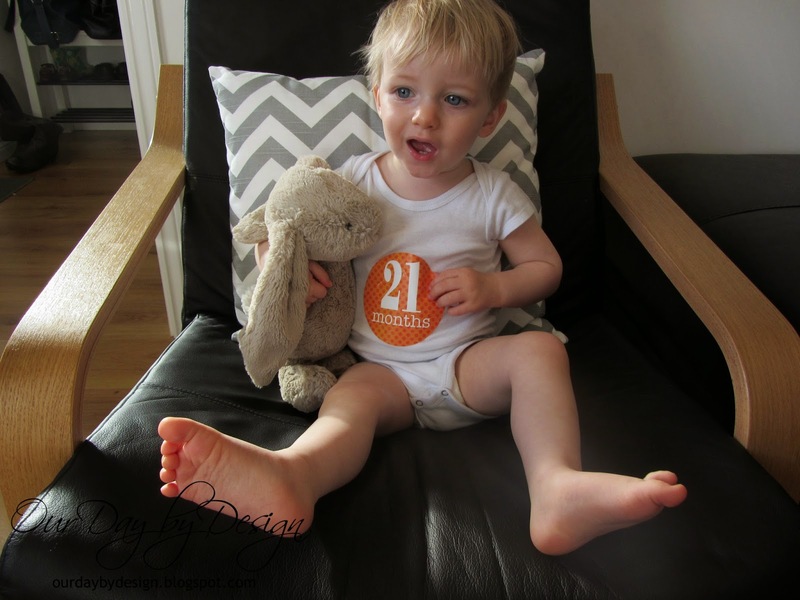 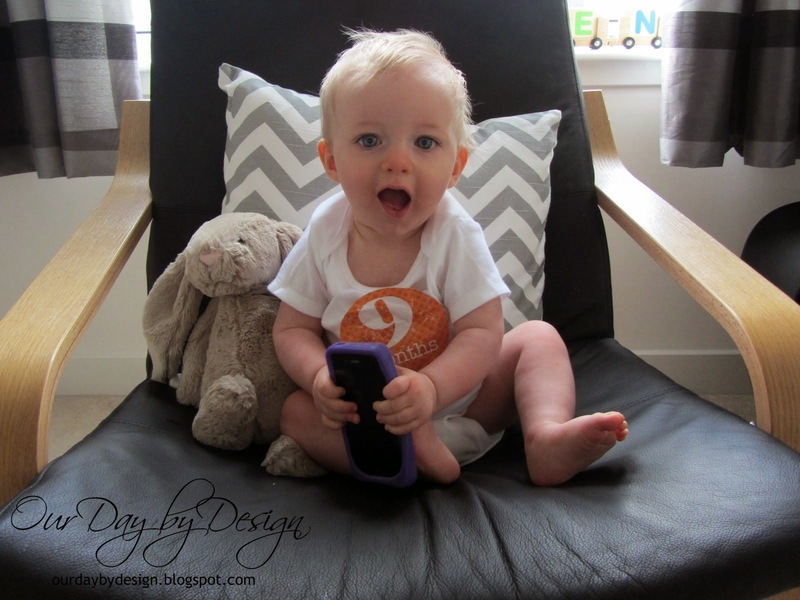 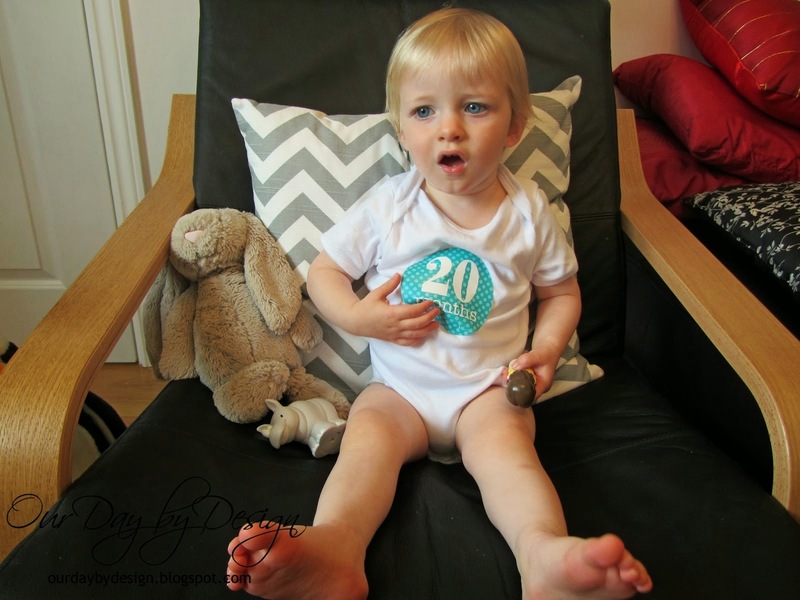 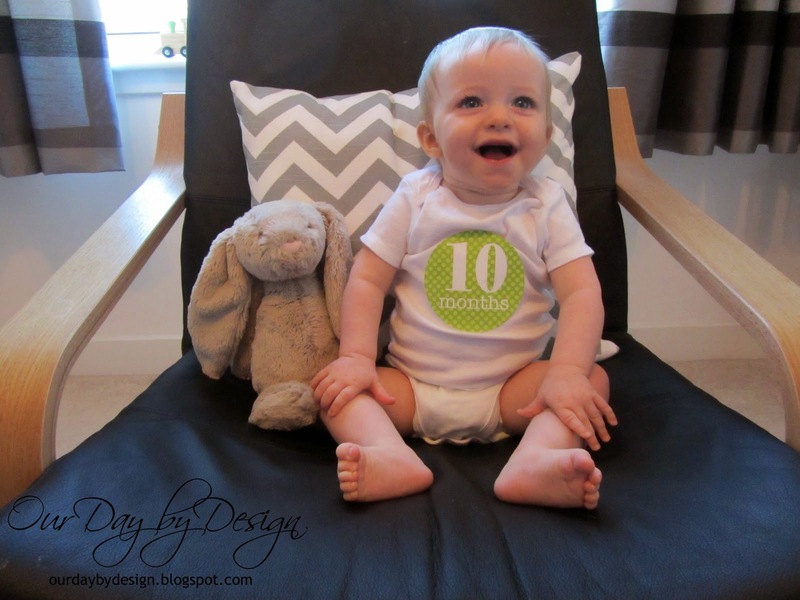 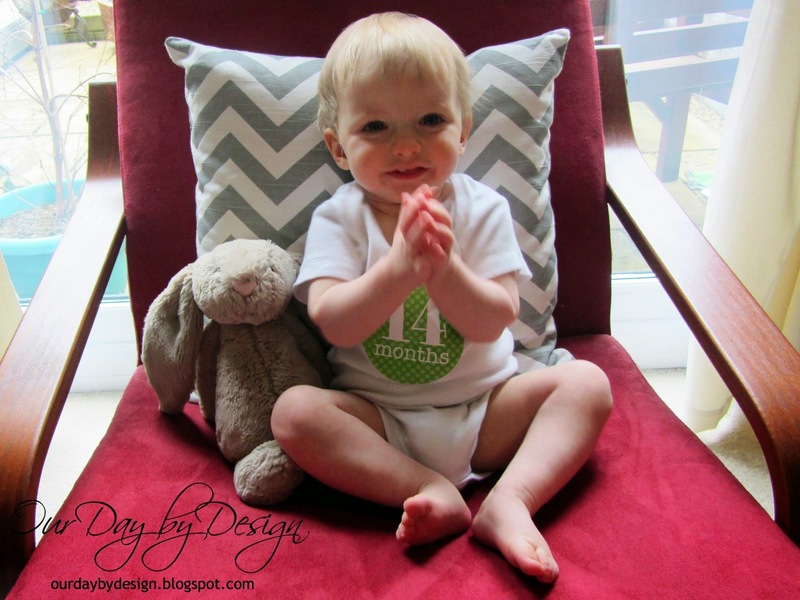 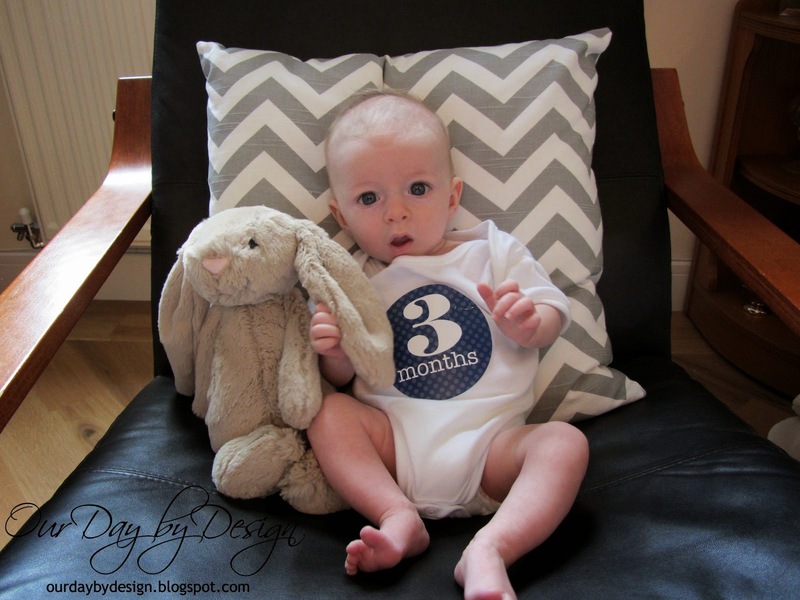 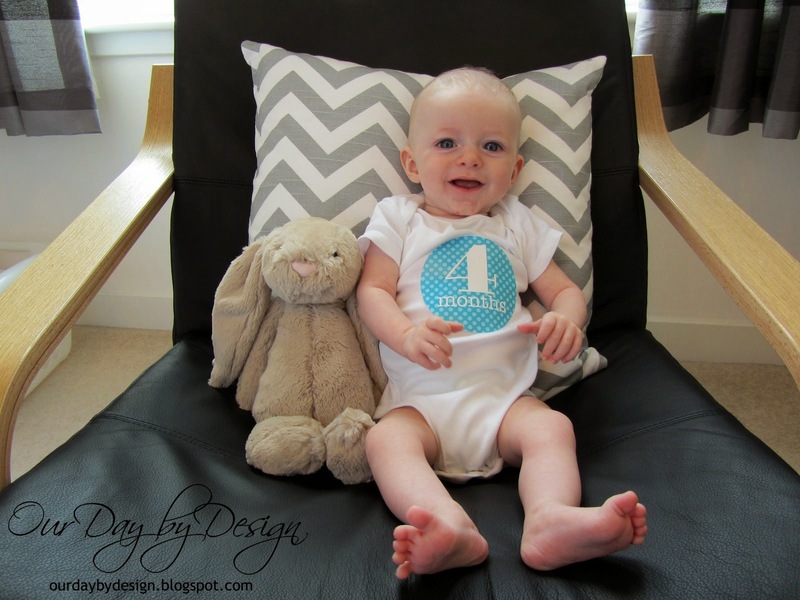 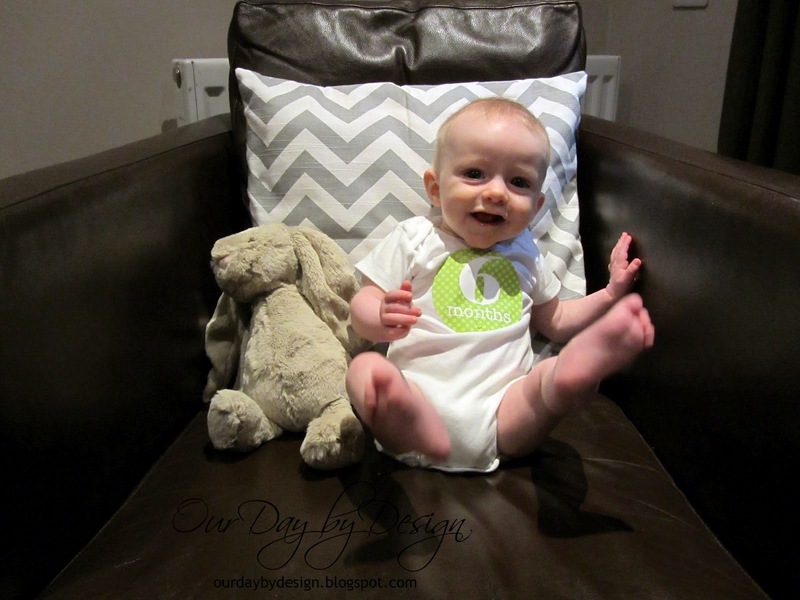 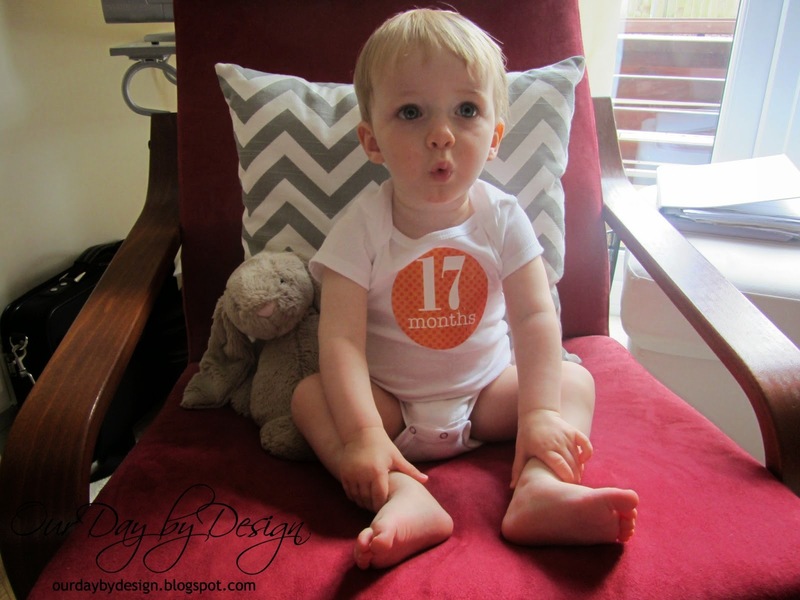 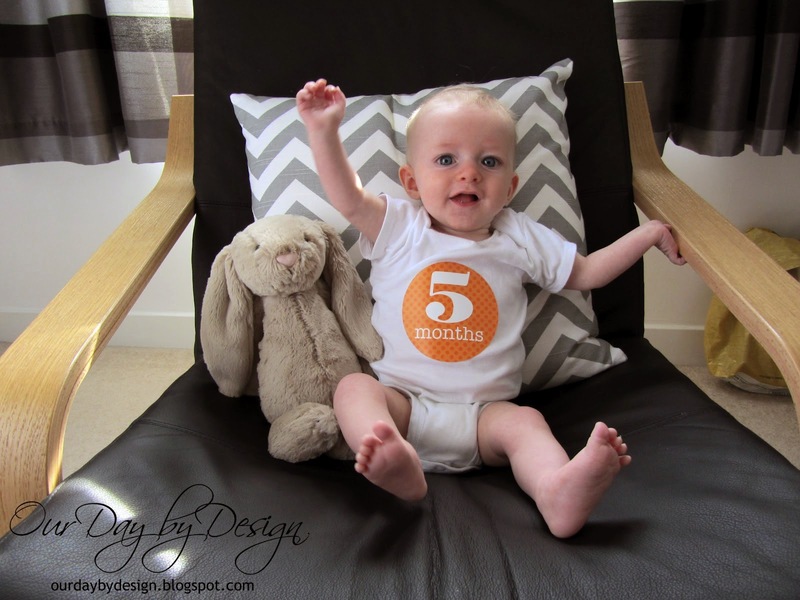 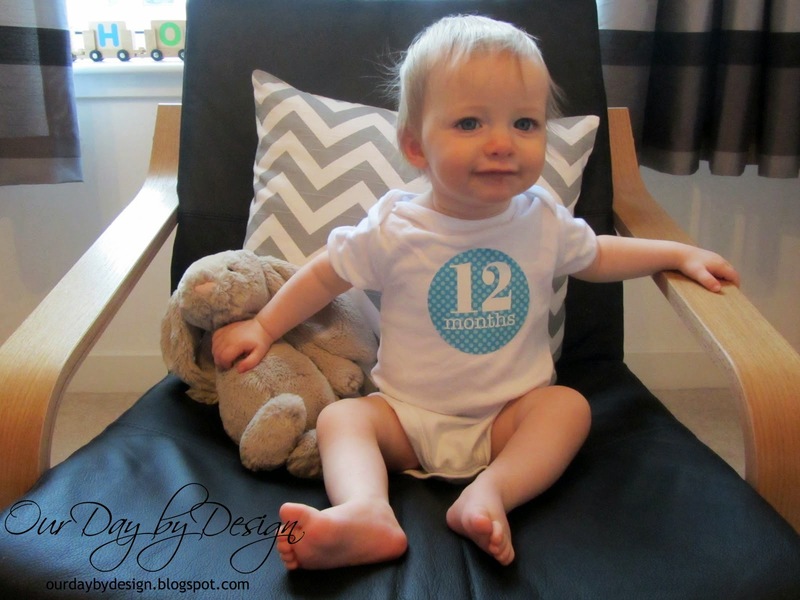 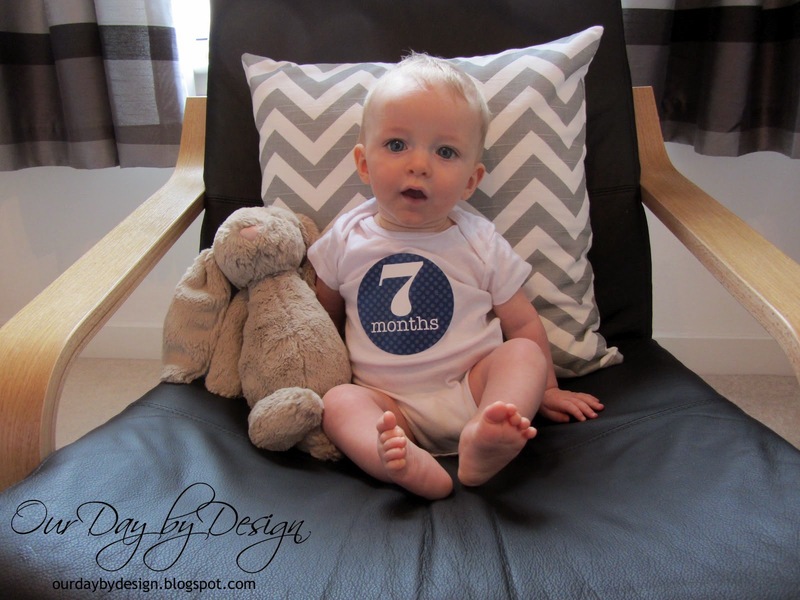 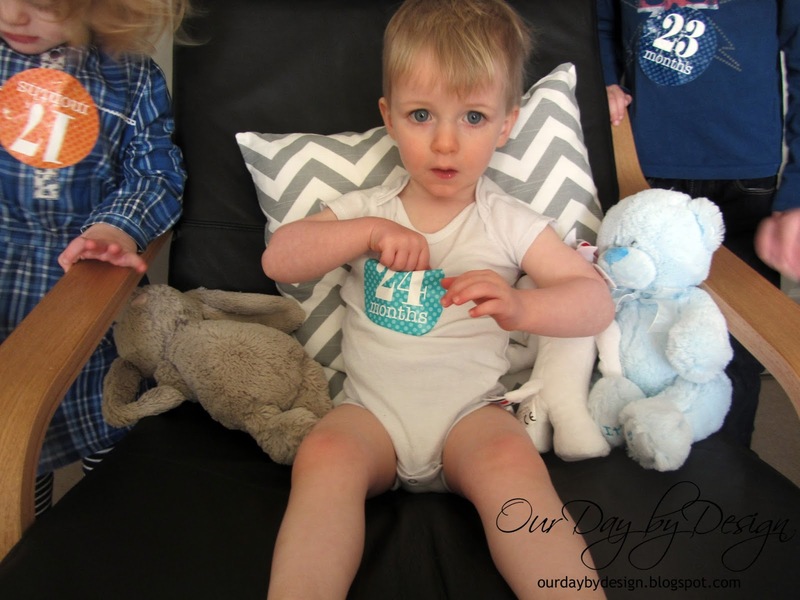 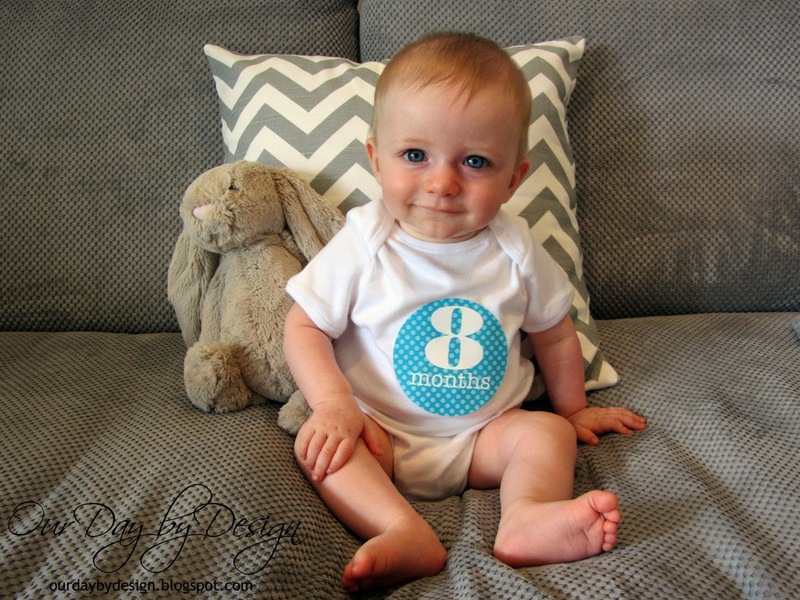 I took the same photo of Holden every month, on the same chair beside his bunny. 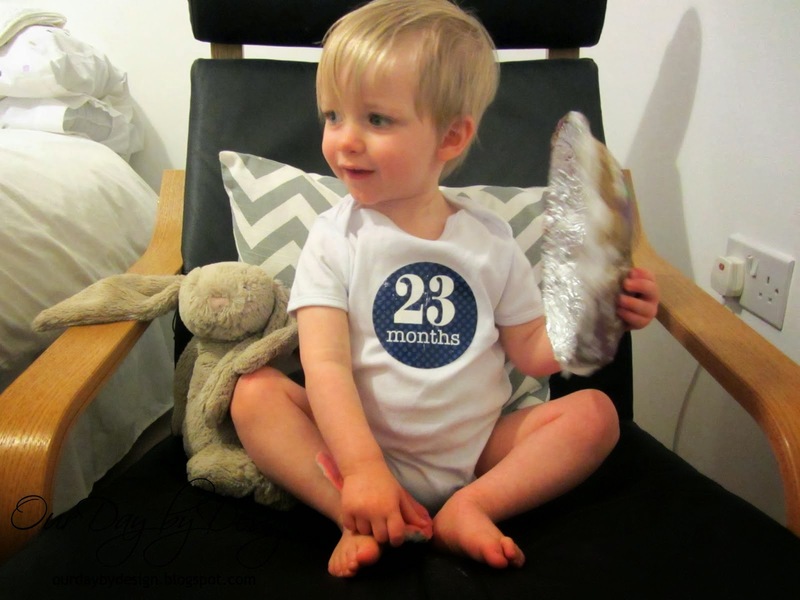 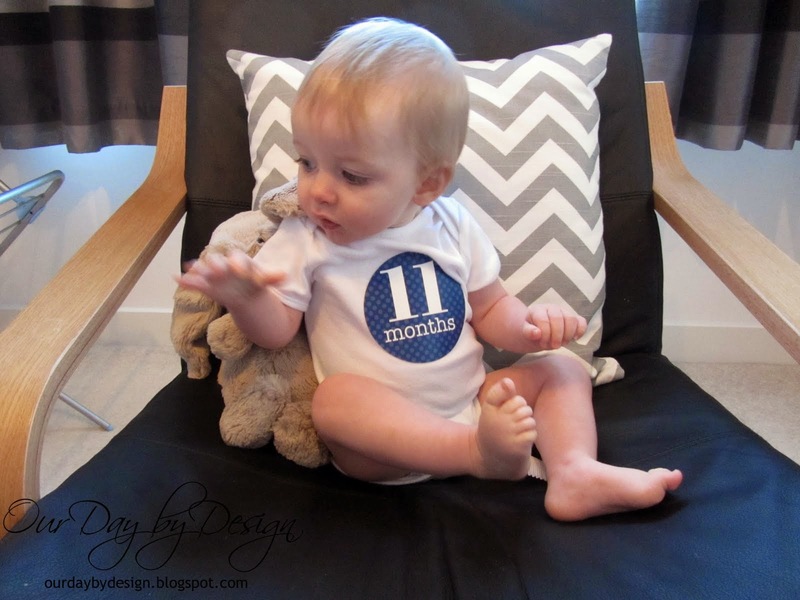 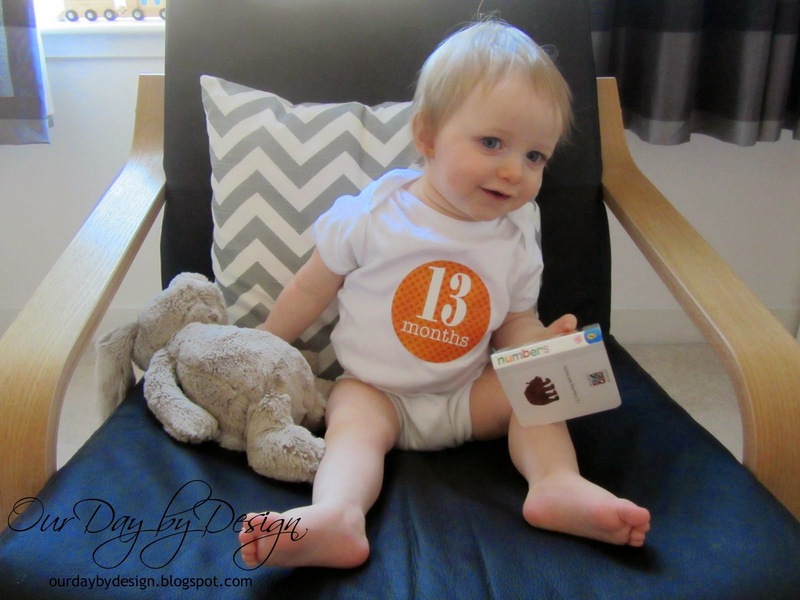 I put him in just a white vest with stickers showing the month. 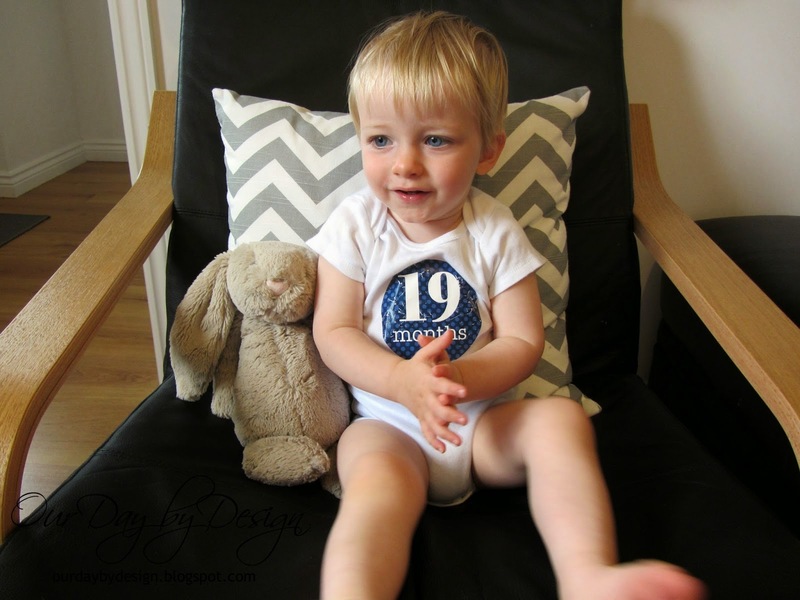 For the first year I also took photos of him on his lambskin rug and for the second year I took photos of him standing beside his penguin. 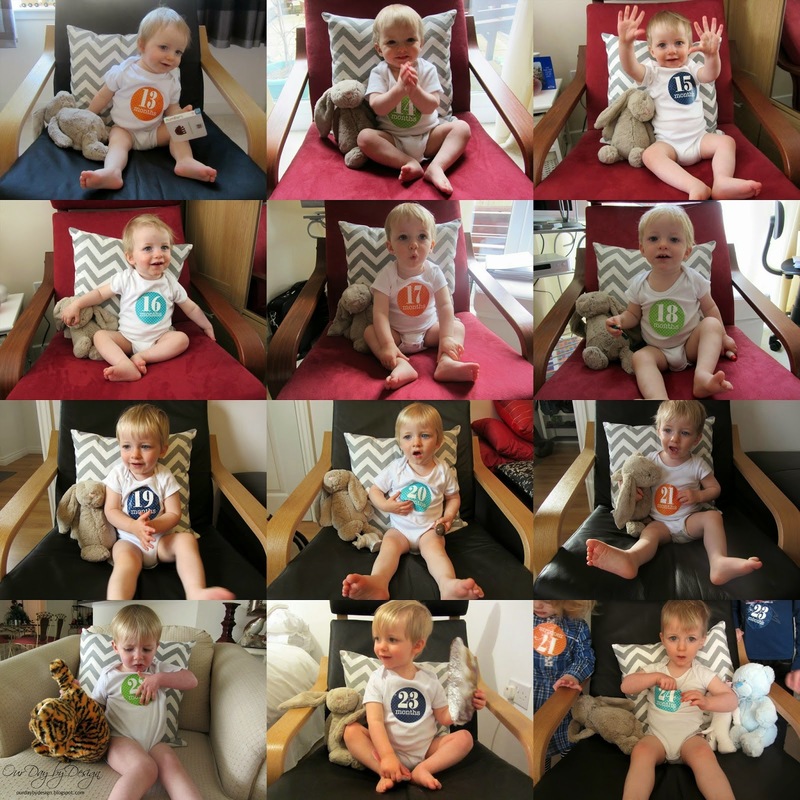 By the end Holden was completely losing patience with the photos but I'm so glad I stuck with it and completed the two years as we now have a wonderful set of images showing his growth from a baby to a little boy. 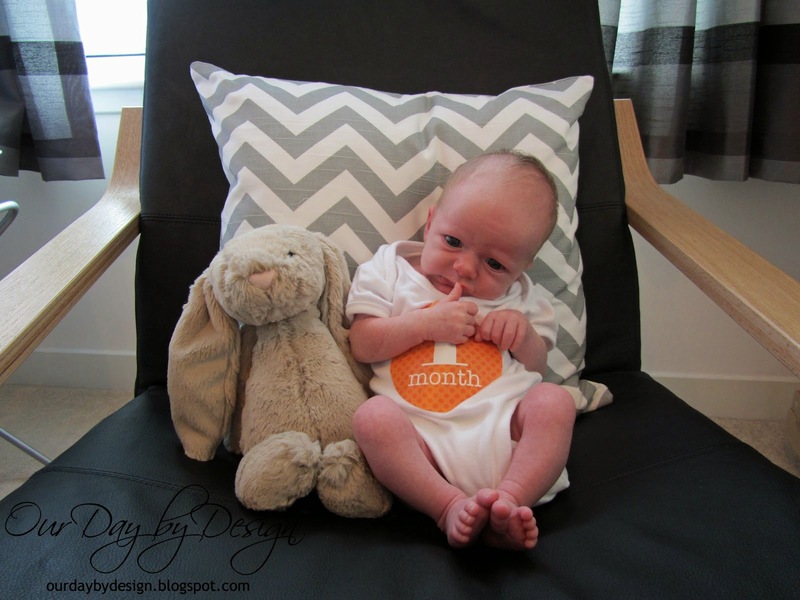 I took the photos on the 1st of every month, maybe a few days late some months, wherever we were. 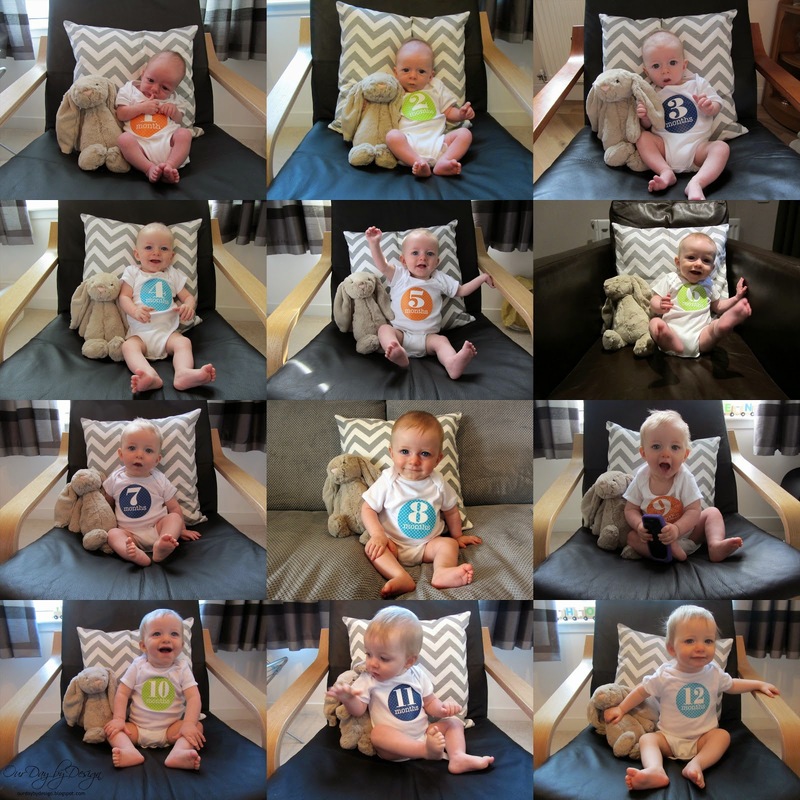 I'm so glad I did this as it shows when were on holiday or staying at my parents; at 3 months we were at my parents while my back healed, at 6 months we were at Center Parcs, at 8 months we were in Australia then from 14 to 18 months we were living at my parents while our new house was built. 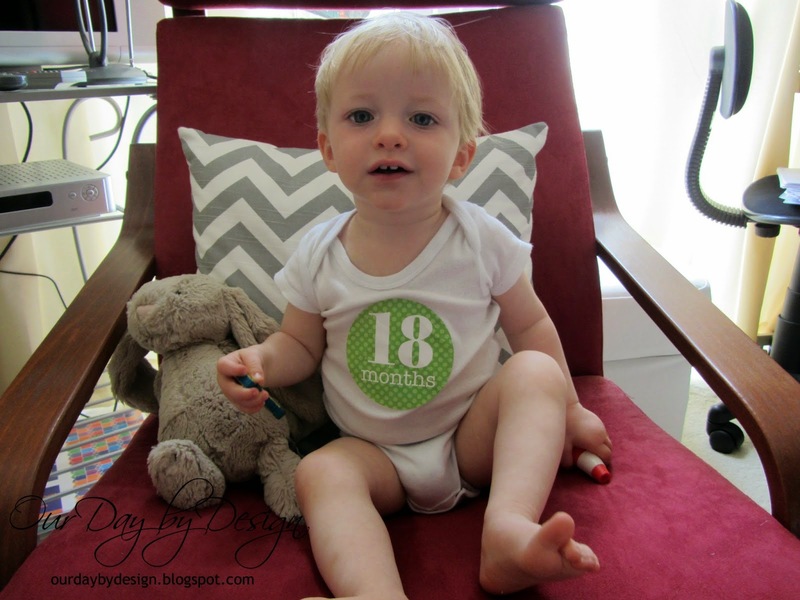 All the photos from then were in our new house with the exception of 22 months when we were in Florida.